"Today's approval marks another first in the field of gene therapy -- both in how the therapy works and in expanding the use of gene therapy beyond the treatment of cancer to the treatment of vision loss -- and this milestone reinforces the potential of this breakthrough approach in treating a wide-range of challenging diseases," said FDA Commissioner Scott Gottlieb, MD, at the announcement. Luxturna, by Spark Therapeutics, is approved for the treatment of patients with confirmed biallelic RPE65 mutation-associated retinal dystrophy, one cause of Leber congenital amaurosis (LCA) - a congenital condition causing vision loss typically associated with nystagmus with normal-appearing or near normal-appearing retinas. Despite cursory appearances, however, the retinas are not normal, and the progressive disease leads to blindness, explained Stephen Russell, MD, the Schrage Professor of Ophthalmology at the University of Iowa and one of the lead researchers of the recently approved gene therapy. Often, parents of LCA patients first note the baby isn't attentive to the mother's face. Diagnosis is typically made by electroretinography. 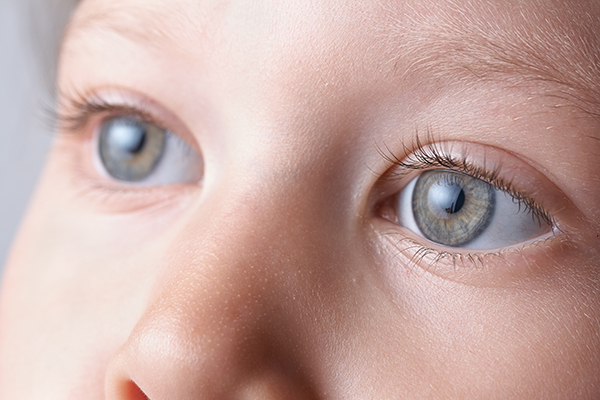 The RPE65 gene helps create an enzyme essential for normal vision. Those with mutations in the gene have reduced or absent levels of RPE65 activity. Luxturna uses a naturally occurring virus that has been modified with a recombinant DNA technique to deliver a normal copy of the RPE65 gene directly to retinal cells to improve vision. Physicians inject billions of modified viruses into both eyes of the patient. In the Phase 3 trial, which was conducted at the University of Iowa and at the Children's Hospital of Philadelphia, nearly 90 percent of patients demonstrated significant response to the therapy. The study utilized an obstacle course bathed in varying light levels to measure post-treatment improvement in navigation over baseline. Following treatment, patients experienced meaningful progress in their visual acuity ... enough that they could navigate the maze in low to moderate light without a cane or guide dog. They also showed improvement in light sensitivity and peripheral vision, which are two visual deficits these patients also experience. "There are at least 17 different genes, which if mutated can cause Leber congenital amaurosis," explained Russell. "About 8 to 10 percent of LCA patients will have biallelic RPE65 mutations." With LCA affecting only about 1 in 80,000 individuals and the specifically targeted mutation impacting a small percentage of that population, the number of individuals who will benefit from this new therapy is quite small. Still, the potential impact is huge. "We've been working on gene therapy without a lot of success for nearly 40 years," said Russell. "This is the first unequivocal example of success." He noted that Edwin Stone, MD, PhD, a colleague at Iowa, recently published a paper that found of the 1,000 families with retinal degeneration with whom Stone works, about 76 percent could be genetically characterized. Of that group, nearly 75 percent had a mutation in the gene small enough to fit into the adeno-associated virus (AAV) vector gene used in the Luxturna study. "In the area where I'm working, perhaps as many as 50 percent of patients with retinal degenerations can be treated in a similar manner ... so it begins to allow you to see the potential impact," Russell added. Although quick to emphasize the science isn't yet there, the fact remains that the RPE65 study opens new doors ... but it also raises new questions. One unanswered question, Russell continued, is "how this fits in with personalized medicine because the cost for developing gene therapy for rare gene mutations is a costly, highly regulated process. How are the costs of these sorts of treatments going to be handled?" Despite unanswered questions, Russell concluded, "It's all very exciting. Things are changing fast, and that's good." While new treatments like the recently approved targeted gene therapy continue to come online to improve vision, not all recent ophthalmology news is good from the FDA. The federal agency released a warning brief in October 2017 regarding the risk of legal blindness with eye injections of compounded drugs containing vancomycin. "Raising awareness about emerging safety issues associated with compounded drugs is a top priority for the FDA's compounding program," noted Janet Woodcock, MD, director of the FDA's Center for Drug Evaluation and Research. In early October, she said the agency provided details about a case of severe vision loss associated with eye injections of a compounded drug containing vancomycin and sanctioned the addition of a severe vision loss warning in FDA-approved labels of injectable vancomycin. However, Woodcock noted, "Since labels for compounded drugs are not reviewed or approved by the FDA, this warning will not necessarily be included in the labels of compounded drugs with vancomycin for injection. Therefore, healthcare providers administering eye injections of compounded drugs containing vancomycin for prophylaxis may not be immediately aware of this potentially blinding postoperative complication associated with its use." The new warning came after the FDA received an adverse event report last August from a physician concerning a patient diagnosed postoperatively with bilateral hemorrhagic occlusive retinal vasculitis. Although rare, the potentially blinding complication has been observed in dozens of patients who have received intraocular injections of vancomycin formulations toward the end of otherwise uncomplicated cataract surgeries. Which Treatment for Which Tumor?